Jordon Cooke picked up his 18th win of the season on Saturday night. When it came to talking about what has become a record season, Jordon Cooke quickly spread the love around. Playing in his sophomore season for the University of Saskatchewan Huskies men’s hockey team, Cooke made 25 saves on Saturday night to back his club to a 5-2 victory over the U of Manitoba Bisons at the ancient Rutherford Rink. The Leduc, Alta., product also picked up his 18th win of the campaign which equals a club record that was accomplished by Jeff Calvert (1998-99) and Ryan Holfeld (2012-13). “It is exciting, definitely,” said Cooke. “Obviously, this is a team sport, so I definitely couldn’t have done it without them (his teammates). The Huskies, who are rated first in the Canadian Interuniversity Sport top ten rankings, improved to 21-3 and have won nine straight. They also locked up first place in the Canada West Conference after the U of Calgary Dinos knocked off the U of Alberta Golden Bears 5-3 later on Saturday night in Calgary. With four games remaining in the regular season, the Huskies have earned a bye into the semifinal round of the Canada West post-season and will have home ice advantage through the entire conference playoffs. After qualifying for the Canada West playoffs with the sixth and final seed with a 10-15-3 mark last season, the Huskies have enjoyed a dream campaign in 2015-16. The quarter stone of the Dogs success is having a strong base in goal. The Huskies celebrate a goal by captain Kendall McFaull. Cooke arrived on campus boasting an impressive resume as a netminder having been a star with the Western Hockey League’s Kelowna Rockets. In his final season in the major junior ranks in 2013-14, Cooke was named the Canadian Hockey League’s goalie of the year. He was overlooked in the NHL ranks being deemed too small standing at 5-foot-10 and weighing in at 185 pounds. With the Dogs this season, Cooke has posted an 18-3 record, a 2.36 goals against average, a .926 save percentage and two shutouts. Huskies head coach Dave Adolph couldn’t stress how important it is to be strong in goal in hockey, and Cooke has been stellar between the pipes. “It gives your whole team confidence in everything else you do,” said Adolph. “Jordon tonight in the first period, we were up 1-0 at the end of the first, and it could have been 3 or 4-1 for them. Having suffered an 8-3 thrashing at the hands of the Huskies on Friday night at the Rutherford Rink, the Bisons came out with some good jump in the opening 20 minutes of Saturday’s encounter. The Huskies jumped ahead 1-0 at the 14:10 mark of the first, when rookie forward Kohl Bauml fed a pass over to linemate Andrew Johnson, who slipped home a shot from a bad angle just under the bar of the Bisons goal. Just 26 seconds into the second, the Bisons had a glourious chance to draw even, when fourth year forward Jesse Paradis was awarded a penalty shot. Despite his small stature, Cooke played large in goal forcing Paradis to shoot wide on the penalty shot attempt. Parker Thomas netted the Huskies final goal in Saturday's win. The Huskies proceeded to take control from that point. At the 3:34 mark of the second, captain and standout defenceman Kendall McFaull intercepted a pass just inside the blue-line of the Bisons zone and blasted home his fourth goal of the season to increase the Dogs’ lead to 2-0. Before the second ended, Bauml put his soft hands to work tucking home a tally in close to give U of S a 3-0 lead. Levi Cable and Parker Thomas rounded out the scoring for the Huskies in the third, who led 4-0 at one point. Jordan DePape and Jonah Wasylak replied with singles for the Bisons, who fell to 10-12-2. Byron Spriggs turned away 26 shots in the U of M net. As far as the Huskies net is concerned, Cooke said he is having success due to the fact he has been able to track the puck well. “I think I am just watching the pucks a little bit better than I have been,” said Cooke. “For me, that is the thing. He also admits his comfort level in the CIS ranks is higher this second season due to the fact he has a full campaign under his belt being a university level student-athlete. The Huskies are also a win shy of matching their overall club record for wins in a season. U of S has won 22 games in a regular season twice in team history. The last 22-win campaign came back in 1999-2000, when the Dogs posted their best ever regular season mark at 22-3-3. Cooke has been impressed watching his current group of teammates play in front of him. The Huskies return to action this coming Friday and Saturday, when they travel to Edmonton to take on the Golden Bears (15-7-2). Marley Ervine played in her 132nd career regular season game. One night after posting a 3-1 win, the University of Saskatchewan Huskies women’s hockey team lost their touch around the net once again. On Saturday night in Winnipeg, the Huskies dropped a 3-0 decision to the host U of Manitoba Bisons despite holding a 21-19 edge in the shots on goal department. Cailtin Fyten, Charity Price and Lauryn Keen potted singles for the Bisons (11-11-2), who received a 21 save shutout performance from Amanda Schubert in goal. Cassidy Hendricks made 16 stops in goal for the Huskies, who failed to score on four power-play chances. The Huskies, who are rated 10th in the CIS top ten rankings, fell to 12-9-3. The Huskies sit a point ahead of the Bisons for fourth overall in Canada West. U of S has 36 points coming from nine regulation wins, three extra time victories and three extra time setbacks. The Bisons have 35 points coming from the fact all 11 of their wins have come in regulation along with two extra time setbacks. Three points are awarded for regulation victories and two points are given for extra time wins in Canada West women’s play. In Saturday’s setback, feisty forward Marley Ervine appeared in her 132nd career regular season game and moved alone into top spot in the career games played list for the Huskies women’s team. Kandace Cook sits second with 131 games played. The Huskies return to action this coming Friday and Saturday when they host the U of Alberta Pandas (13-8-3) at 7 p.m. on both nights at the Rutherford rink. Andrew Johnson scored twice in the Huskies runaway victory on Friday. The University of Saskatchewan Huskies men's hockey team looked every bit like a club that tops the Canadian Interuniversity Sport top ten rankings. For the second time this season, the Huskies were voted number one in the weekly CIS top ten rankings entering play this weekend. Hosting the University of Manitoba Bisons at the ancient Rutherford on Friday night, the Huskies actually fell behind 1-0 just 31 second in, when Bisons forward Warren Callis potted the rebound from an Adam Henry point shot. The Huskies roared back with five straight goals and cruised to an 8-3 victory. U of M’s lead lasted to the 4:49 mark of the opening frame, when Huskies rookie forward Kohl Bauml netted his 10th goal of the season to tie things up at 1-1. Just 15 seconds later, Jaimen Yakubowski potted his second goal of the season to put the Huskies up 2-1. Before the opening frame ended, rookie forward Andrew Johnson netted a pair of goals just 17 seconds apart from each other to give the Huskies a 4-1 lead. At the 11:46 mark of the second, Josh Roach scored on the power play to put the Huskies up 5-1 and pretty much put the competitive phase of the contest on ice. Jordan Fransoo, Michael Sofillas and Cameron Blair potted singles to round out the Huskies scoring. Fransoo’s tally came on a pretty tick-tack-toe passing play, when the hosts were working on a two-man advantage. Bauml and defenceman Connor Cox picked up the helpers on that fancy tally. Jordan DePape and Brett Stovin, who is a former captain of the WHL’s Saskatoon Blades, picked up singles to conclude the scoring for the Bisons. Jordan Fransoo potted a beauty power-play goal for the Huskies on Friday. Jordon Cooke made 23 saves to earn the win goal for the Huskies. The victory in net was the 17th of the season for Cooke, who is one win shy of equaling the club record for wins in a season. The team record of 18 goaltending wins in a season is held jointly by Jeff Calvert (1998-99) and Ryan Holfeld (2012-13). Rookie Justin Paulic stopped 36 shots going the distance in goal for the Bisons, who fell to 10-11-2. The Huskies stretched their winning streak to eight games and improved to 20-3. They hit the 20-win mark in the regular season for the third time in team history. The last time the Huskies won 20-or-more games in a regular season came back in 1999-2000, when the Dogs posted their best ever regular season record at 22-3-3. U of S also sits eight points up on the University of Alberta Golden Bears for first place in the Canada West standings. With the Golden Bears dropping a 6-4 decision to the University of Calgary Dinos on Friday night in Edmonton, the Huskies need to earn just three points in the standings in their final five regular season games to lock up first overall in Canada West. The Huskies could cement first overall on Saturday night, if they beat the Bisons (7 p.m., Rutherford Rink) and the Golden Bears fall in any fashion at home against the Dinos. NOTE – U of S was without standout fifth-year defenceman Zak Stebner, who is nursing a leg injury. Brooklyn Haubrich drives to the net for the Huskies. The University of Saskatchewan Huskies women’s hockey team brought their four game losing streak to an end on Friday night in Winnipeg. Having been snakebitten around the net in recent weeks, the Huskies, who are rated 10th in the CIS top ten rankings, scored three times on the nine shots they had on goal to slip past the host University of Manitoba Bisons 3-1. Huskies rookie forward Shyan Elias, who is from Winnipeg, picked up her first CIS regular season goal at the 8:45 mark of the opening frame. Just under two minutes later, fourth-year forward Lauren Zary picked up her career high seventh tally of the campaign to give the visitors a 2-0 edge. First-year forward Brooklyn Haubrich potted the only goal in the second to put the Huskies up 3-0. Alanna Sharman replied with the Bisons loan goal in the third. Cassidy Hendricks made 22 saves to earn her 10th win in goal of the season for the Huskies (12-8-3). The fourth-year netminder became the first goalie in the history of the Huskies women’s program to win 10 or more games in a season in four straight campaigns. Rachel Dyck made six stops in goal for the Bisons (10-11-2). These two teams will go at it again on Saturday in Winnipeg. NOTES - On Wednesday, the Huskies announced Danielle Nogier, who is the captain of the Saskatoon Stars female midget AAA team, has committed to play for the U of S in the 2016-17 campaign. Known for her work as a defensive forward, Nogier has five goals and two assists for the Stars, who lead the Saskatchewan Female Midget AAA Hockey League with a 20-4 record. Her brother, Nelson, is a standout defensive defenceman with the WHL’s Red Deer Rebels and is a draft selection of the NHL’s Winnipeg Jets. Danielle's father, Pat, played goal for the Huskies men's hockey team from 1988-91. The Huskies were without captain Paige Anakaer, who is nursing a leg injury, on Friday. Feisty forward Marley Ervine played in her 131st career regular season game on Friday for the Huskies to equal Kandace Cook for first on the club’s all-time list. Abby Shirley charges into the offensive zone for the Stars. The Saskatoon Stars aren’t used to defeat, especially when it is suffered at the hands of a come-from-behind effort by their opponent. After winning the Saskatchewan Female Midget AAA Hockey League championship last season, the Stars picked up where they left off this season leading the SFMAAAHL with a 20-4 record. The fourth setback might have been the toughest one. Last Sunday at the Agriplace Arena, the Stars jumped out to a 2-0 lead on the visiting Prince Albert A & W Bears and held a decisive edge in shots on goal and territorial play through the contest’s first 30 minutes. With 7:05 to play in the second, the Bears scored on the power play to gain some traction, and the momentum of the game turned completely around. Prince Albert scored on another power play before the second period concluded to tie things up at 2-2 and potted a third power-play marker with 12:42 to play in the third to go up 3-2. The 3-2 Bears edge held up as the final outcome in the contest. While the Stars had lots of time to get the equalizer, it seemed they were trying to immediately create two or three breakaways to get a goal. In doing that, they played right into the defensive shut down game the Bears began to employ, which resulted in a number of turnovers in the centre ice zone. After the game ended, the youth of the Stars team came to the surface. A lot of the players broke out in tears. Most of that reaction stems from the fact the majority of the players on Saskatoon roster are around age 15. The disappointment energy was opposite of the bounce off the wall happiness energy the Stars displayed when they won the SFMAAAHL title. In the setback to Prince Albert, the Stars were reminded of a fact that former Saskatoon Blades head coach and general manager Lorne Molleken often alluded to in that there are two teams on the ice trying to win a hockey game. He often gave credit to the fact the opponent has some good players who will make some outstanding plays to help their side. The big lesson for the Stars is to not get discouraged or go in a shell when a good opponent does something great. When an opponent does something great, it presents an opportunity to respond in a good fashion to show perseverance. The Stars have a strong coaching staff and a strong parent group, so the players will have good support in going through this learning experience. If the Stars win all of their last four regular season games in regulation, they will still finish first overall in the SFMAAAHL. They return to action on Saturday night, when they host the Melville Prairie Fire (7-13-1) at 7:45 p.m. at the Agriplace Arena. The Stars and Prairie Fire will also meet on Sunday at 2:15 p.m. at the Agriplace Arena. Ryan Holfeld, left, and myself during a social time. When he coached the Medicine Hat Tigers, Willie Desjardins often told his players one of the best places to be was at the rink. For me, that can expand to the football field, a basketball court, volleyball court, soccer pitch or even a UFC octagon ring. The reason those places are the best places to be are the people that are there. The athletes, coaches, trainers, staff, facility attendants and even the fans in the stands make those places enjoyable. In my life, I have found the athletes, coaches and staffers to be the most genuine and real people I know. It is the main reason I continue to be a regular at the Rutherford Rink and the Physical Activity Complex on the University of Saskatchewan campus, Saskatoon Minor Football field and so far a handful of WHL rinks. Since November of 2012, I have known I have had issues dealing with anxiety. The issues rose due to a mental health issue I discovered in my workplace at the time, which was the Medicine Hat News, and that resulted in a whole host of spinoff problems. There is still a stigma around mental health issues, and they are unfortunately still treated as the elephant in the room in too many circles. From the start of my mental health journey, the one constant group of forward thinking backers I have had have been the young athletes that have played either in the WHL, the Canadian Interuniversity Sport ranks or the Canadian Colleges Athletic Association. I have found they have always been the most open minded and genuinely positive in helping on the mental health front. I remember talking about a few of these young adults with former Medicine Hat College Rattlers men’s volleyball head coach Steve Russell during a coffee chat, and he said their support on the mental health front is fitting because these are our future leaders. If I tried to make a list of all the people I have leaned on, I fear I might leave someone out. The first group of people that knew about what I was going through included Tigers grads Brennan Bosch, Ryan Holfeld and David Schlemko. From Bosch and Holfeld, the group quickly expanded to the members of the 2012-13 University of Saskatchewan Huskies men’s hockey team. Bosch and Holfeld were in the middles of their CIS careers with the Dogs at that time. The early list also included Talayna Tremblay and Kelsey Konihowski, who were both still with the Medicine Hat College Rattlers women’s volleyball team at the time. All of five of those people were key in helping me make my initial steps forward. The Hilltops win in the Canadian Bowl was a good time. Since those beginnings, the list has greatly expanded. Over the past eight months the conversations haven’t been about mental health, when I have been at sporting venues or visiting my friends that are involved in high-level sports. The visits mainly revolve around regular talks you have every day on a variety of topics. When I am in those moments, I feel most normal. Actually, I usually don’t even think about my anxiety battles until I am home or I am spending time alone. Connectivity is the main reason I remain around the sports scene. That connectivity can be viewed at an obvious time like when the Saskatoon Hilltops won their 18th Canadian Junior Football League title back on Nov. 7, 2015. I think everyone that was at Saskatoon Minor Football Field that day felt connected to what went on at that Canadian Bowl championship game. Connectivity also comes during a more quiet time like last Sunday at the Agriplace Arena. After watching the Saskatoon Stars fall 3-2 to the Prince Albert A & W Bears in a Saskatchewan Female Midget AAA Hockey League game, I spent a lengthy time visiting with University of Saskatchewan Huskies women’s hockey team members Kaitlin and Morgan Willoughby and their mother, Dinah. Our conversation ventured through all sorts of subjects including mutual friends, memories from sports and the Edmonton Oilers from Wayne Gretzky’s days. This season, I decided I would get my Canadian Hockey League pass in order to work a little more on the major junior circuit again. In those travels, I have felt a renewed connectivity to a vast network of people I got to know covering the WHL as a beat reporter for 15 seasons. Even Red Deer Rebels head coach, general manager and owner Brent Sutter smiled when he saw me during pre-game before his squad took to the ice to face the Saskatoon Blades at the SaskTel Centre. (Side note: Sutter does smile and he does so more than you think). Being on the WHL trail allowed me to have a great visit with Jaeger White. On Saturday night, I had a great visit and talk with Brandon Wheat Kings centre Jaeger White, who is the step son of current Medicine Hat Tigers head coach and general manager Shaun Clouston. I’ve known White since his bantam hockey days, and I was impressed with how mature he was during our talk that I almost forgot he is 17-years-old. Connectivity is the thing for me that makes all the bad stuff with anxiety wash away. Actually, the more connected someone with a mental illness feels with their community and surroundings the better off he or she will be. As this is Bell Let’s Talk day, I hope everyone remembers how powerful connectivity can be. When you have visits with someone who is battling a mental illness, the talk doesn’t necessarily have to be about that subject. It can be about any topic of mutual interest. The key is to visit and to visit in person, because those visits can go a long way to improving your overall mental health. Cameron Hebig has exploded offensively for the Blades. When Cameron Hebig achieves a milestone, he automatically sets his sites on a higher goal. After his hometown Saskatoon Blades selected him in the third round and 56th overall in the 2012 WHL Bantam Draft, Hebig saw that moment as an opportunity he wanted to take advantage of. The speedy centre cracked the Blades lineup as a 16-year-old in the 2013-14 campaign. With the Blades having turned over most of their roster after hosting the 2013 Memorial Cup, Hebig received a lot of opportunity to gain experience and picked up 13 goals and 13 assists in 67 games. Having learned what the grind of the circuit was about, Hebig set out to improve his game in both the offensive and defensive zones as a 17-year-old sophomore last season. He dressed for all of the Blades 72 regular season games picking 18 goals and 22 assists. This season Hebig has become a force offensively piling up 22 goals and 27 assists in 43 games. “I just had a good start to the year and have just been positive,” said Hebig, who stands 5-foot-10 and weighs 190 pounds. “I think if you are working hard chances will come, and you just have to bury those. In their third season since hosting the Memorial Cup, the Blades are still going through growing pains. After jumping out to a strong 7-4-3 start, the Blades, who still have one of the youngest teams in the WHL, hit the wall in the middle of November. After falling 6-2 to the Brandon Wheat Kings before 4,637 spectators on Saturday night at the SaskTel Centre, Saskatoon’s record dropped to 17-27-4. Hebig’s jump has not waivered during the down stretches. On Saturday night, he netted both of the Blades goals on a couple of nice shots and was a plus-two in the plus-minus department. On his second tally, he stole the puck from a Wheat Kings defender, used another rearguard as a screen and tucked a shot home past netminder Logan Thompson. Cameron Hebig celebrates with his teammates after scoring a goal. “He (Hebig) is our best player, and he brings it every night,” said Blades head coach and general manager Bob Woods. “He is not a real vocal guy, but he leads by example because of his work ethic. Woods believes a missed goal helped kick Hebig into another gear this season. “I think not getting drafted (into the NHL) was kind of not a wakeup call, but he just didn’t like it,” said Woods. “He worked extremely hard this summer on his game. “We talked a little bit about just being the complete player. I thought last year maybe he didn’t do the things that he has to do. He is a skilled player, but he is not skilled enough to live on that. Hebig prides himself in playing a strong two-way game. On the intangible side, he finds he just doesn’t get down on himself or his team when things get rough. While the Blades trail the Edmonton Oil Kings (19-22-6-1) by seven points for the final playoff berth in the WHL’s Eastern Conference, Hebig believes it is still possible for his club to make an appearance in the post-season. Cameron Hebig looks to make a play in the offensive zone for the Blades. “We’ve got a good group here, and we believe in ourselves,” said Hebig. “When things get tough, we can’t pack it in. We always have to bring it every game and always try to get better. When it comes to making the NHL, Hebig’s lack of size might be the biggest obstacle he has to overcome. He is quick to point out you don’t have to be 6-foot-2 and weigh over 200 pounds to make an impact in the NHL. The shifty skater lists off Tyler Johnson of the Tampa Bay Lightning, Brendan Gallagher of the Montreal Canadiens and Brad Marchand of the Boston Bruins as smaller players that have made an impact in hockey’s top professional league. Gallagher and Marchand both stand 5-foot-9, while Johnson is 5-foot-8. Cameron Hebig gets set to take a draw for the Blades. In Saturday’s tilt with Brandon, the Wheat Kings, who top the WHL’s East Division with a 29-13-2-2 mark, led 2-1 after the first period and 5-2 after the second frame after Hebig gave the Blades a short-lived 1-0 edge. Reid Duke had a hat trick for the Wheat Kings, who received a two-goal performance from Jayce Hawryluk and a single from John Quenneville. Thompson made 18 stops to earn the win in goal. Brock Hamm turned away 25 shots to take the loss in net for the Blades. The Blades return to action Friday, when they travel to Regina to take on the Pats. The Wheat Kings are in Regina to face the Pats on Sunday. UBC goalie Danielle Dube set up to stop U of S winger Kaitlin Willoughby. It seemed like everyone on the University of Saskatchewan Huskies women’s hockey team had the hands of stone around the net. On Friday night at the ancient Rutherford Rink, the Dogs had to lament their missed chances in a 2-1 setback to the University of British Columbia Thunderbirds. The Huskies, who lost their third in a row, had numerous opportunities to score, but the ability to finish eluded them in the up tempo contest. The rotten luck started late in the opening frame when feisty forward Marley Ervine rang a shot off the crossbar of the UBC goal. After a fairly even opening 20 minutes, the Thunderbirds seemed to score out of nowhere at the 4:53 mark of the second, when fourth-year forward Katie Zinn potted her third goal of the season to give the visitors a 1-0 lead. Just over five minutes later, the Thunderbirds went ahead 2-0 on some nice work down low in the offensive zone. Third year Thunderbirds forward Melissa Goodwin slipped a pass to the front of the Huskies goal from the left corner boards in the U of S zone, and linemate Haneet Parhar tucked home her fifth of the season past Huskies goaltender Cassidy Hendricks. The Huskies, who are rated eighth in the Canadian Interuniversity Sport top ten rankings, proceeded to make a big push back, which saw them buzz the UBC zone. During one surge of pressure, Huskies standout winger Kaitlin Willoughby found herself alone at the right side of the Thunderbirds goal, but she was unable to put a backhanded chance past UBC netminder Danielle Dube. The Thunderbirds celebrate a goal from Haneet Parhar (#12). In the final seconds of the second, another big scoring chance eluded the Huskies. After crossing into the Thunderbirds zone, Willoughby wired a shot on the UBC goal. The puck hit Dube and fell to the ground bouncing loose in the crease area. Ervine crashed into the area but was unable to bat the puck into the net. Despite the missed chances, a third period rally seemed possible for the hosts, when Lauren Zary scored on the power play just 46 seconds into the frame to cut the deficit to 2-1. From that point, both teams proceeded to trade scoring chances as action went back and forth up and down the ice. A couple of scrums also ensured after stoppages as the intensity on both sides increased. The Huskies best chance to net the equalizer came with under two minutes to play, when Hendricks was pulled for an extra attacker. On a rush into the offensive zone, Huskies third-year forward Kori Herner slipped a shot through a screen. Dube made the stop but gave up a juicy rebound. Herner slipped past a UBC defender but fanned on an attempt to shovel the loose puck home. Dube made 25 stops to help the Thunderbirds win their fourth in a row and improve to 13-6-2. UBC is rated 10th in the CIS top ten rankings. Hendricks made 16 stops for the Huskies, who fell to 11-7-3. The Huskies and Thunderbirds will go at it again on Saturday at 7 p.m. at the Rutherford Rink. NOTES – Ervine played in her 129th career regular season game for the Huskies on Friday night to match Chelsey Sundby for second on the team’s all-time list. Kandace Cook sits first in the Huskies career regular season games played list having suited up for 131 contests. Huskies captain Paige Anakaer left Friday’s game in the second period with a leg injury. Kohl Bauml had a goal in the Huskies road win. The U of S Huskies men’s hockey team continued to cement their reputation as road warriors. On Friday night in Vancouver, standout rookie forwards Kohl Bauml and Levi Cable potted singles in the first period to power the Huskies to a 2-0 victory over the UBC Thunderbirds. Netminder Jordon Cooke made 25 saves to pick up his second shutout of the season. The win allowed the Huskies to improve to 10-0 on the road this season. U of S has also won six straight and is rated second in the CIS top ten rankings. The Huskies upped their Canada West leading record to 18-3. Friday’s win allowed the Huskies to ensure they can finish no lower than third in Canada West, and they will host at least one playoff series at the Rutherford Rink. The Thunderbirds fell to 9-9-3 to sit fifth in Canada West. Both teams go at it again on Saturday in Vancouver at the UBC campus. U of R Cougars forward Stephanie Sawchuk turns to drive to the goal. There are no guarantees in Canada West Conference’s women’s hockey league. How competitive has the eight-team circuit been this year? Only 12 points in the standings separates last place from first place. With each team have about seven to eight games remaining on their respective regular season schedules, every club is looking at scenarios where they can finish from first to last, especially considering three points are awarded for regulation wins. Every team has experienced ups and downs, and the players and coaches on each squad can list times where they let points in the standings slip through their fingers. At the moment, the University of Regina Cougars have the best showing in the past 10 games posting a 7-3 mark over that stretch. The University of Calgary Dinos, who have the conference’s top two scorers in Iya Gavrilova and Sasha Vafina, had sat alone in the league’s cellar for most of the season. With their 3-2 regulation win over the Mount Royal University Cougars at the Crowchild Classic on Thursday night, the Dinos pulled to within five points of the Cougars for sixth place and the conference’s final playoff berth. U of C has also won four in a row and is starting to look like a squad worthy of hosting the Canadian Interuniversity Sport championship tournament. The Dinos (7-10-4) actually now sit in a tie for seventh in the league standings with the University of Lethbridge Pronghorns (8-11-1) at 23 points. U of C compiled its 23 points off on five regulation wins, two extra wins and four extra time losses. U of L has 23 points thanks to six regulation wins, two extra time wins and one extra time setback. Huskies forward Elizabeth Salyn battles two Dinos for the puck on the boards. The University of British Columbia Thunderbirds (12-6-2) and the University of Alberta Pandas (11-7-2) sit tied for first in the standings with 35 points. UBC collected its 35 points on nine regulation wins, three extra time wins and two extra time setbacks. All 11 of U of A’s victory have come in regulation time to help the Pandas grab a share of first. In another interesting twist, the Pandas do not have a single player sitting in the top ten of the conference’s scoring race. Rookie Alex Poznikoff tops the Pandas in scoring with eight goals and four assists, but she sits 13th overall in the conference’s scoring race. The U of R Cougars (12-7-1, nine regulation wins) are a point back of both UBC and U of A for top spot, the University of Saskatchewan Huskies (11-6-3, eight regulation wins) are two points out of first place and the University of Manitoba Bisons (10-8-2, 10 regulations wins) are three points back of first. Mount Royal (10-10-1, seven regulation wins) holds sixth place with 28 points. Down the stretch you can be certain there will be a lot of scoreboard watching. No team has been able to go through a lengthy consistent winning stretch. If a club can post a lengthy winning stretch, that team might have home ice advantage for the entire Canada West playoffs. In reality, it seems the deck will keep getting reshuffled after each of the last four regular season weekends plays out. Matthew Spafford celebrates scoring for the Huskies. This picture of Matthew Spafford’s goal celebration for the University of Saskatchewan Huskies men’s hockey team is piling up the views on Twitter and Facebook. Spafford was celebrating after scoring against the U of C Dinos in last Friday’s 4-3 double overtime win at the ancient Rutherford Rink. In the right corner of the picture, it looks like Spafford is about to high-five Rod Alm, who was named the Huskies fan of the year in 2013. It is safe to say most of the Huskies athletes know who Alm is. The shot show great emotion of the moment. When it comes to snapping a photo like this, it is really only 20 per cent skill and 80 per cent luck. · Feisty forward Marley Ervine will hit a milestone, when her Huskies women’s hockey team hosts the Thunderbirds at 7 p.m. Friday at the Rutherford Rink. Ervine will suit up for her 129th career regular season game, which will tie her for second all-time in the history of the Huskies women’s hockey program with Chelsey Sundby. Kandace Cook tops the Huskies career regular season games played list at 131. Ervine sits third in the Canada West scoring race with a career high eight goals and 12 assists. · It seemed Mike Gibson wasn’t in the good books of a number of the alumni of the University of Regina Rams football team. Gibson resigned as Rams head coach on Sunday after just one season having guided the club to an 0-8 mark. Gibson joined the CFL’s Edmonton Eskimos on Monday as the offensive line coach and run game coordinator. A number of Rams alumni voiced their displeasure with Gibson over social media after he resigned his U of R post. · On Thursday, the U of R Rams named Mark McConkey as acting head coach. McConkey was the team’s offensive coordinator, quarterbacks coach and academic coach. That move was a head scratcher considering McConkey’s last season as a Rams player was 2012. You would think the U of R would name Paul Dawson, who is the Rams long time defensive coordinator, as acting head coach. McConkey doesn’t have a lot of coaching experience and only joined the CIS ranks in April of last year. · On the WHL front, how about those Lethbridge Hurricanes? After missing the playoffs for the last six straight seasons, the Hurricanes sit first in the entire WHL with a 34-12 record and are riding an eight game winning streak. They have to be considered the top story in major junior hockey. · Brock Hirsche, who is the captain of the University of Lethbridge Pronghorns men’s hockey team, revealed on Tuesday he is battling testicular cancer. Last year, Pronghorns goaltender Dylan Tait and team athletic therapist Brennan Mahon both beat that same disease. Hirsche is well known in hockey circles in Western Canada, and he will undoubtedly have a lot of people pulling for him. · On Thursday, the Saskatoon Blades revealed dressing room attendant Bobby Kirkness suffered a heart attack, while on vacation last week. Kirkness was later diagnosed with leukemia. Well loved by the Blades players, the news of Kirkness’s health woes have to be tough to take in the dressing room of “the Bridge City Bunch.” The Blades host the Brandon Wheat Kings on Saturday at 7 p.m. at the SaskTel Centre. · By now, most in the general public know the massive cuts Postmedia made to its operations on Tuesday. The media company owns a large concentration of Canada’s newspapers including the Saskatoon StarPhoenix. A number of good people saw their jobs and careers on a lot of fronts come to an end. On the sports front, expect anything that is not the NHL, UFC, Saskatchewan Roughriders, Toronto Blue Jays and Toronto Raptors to receive less coverage. All around, it is a sad situation. · The Saskatchewan Rush’s home opener was a hit. A crowd of 9,147 went to the SaskTel Centre last Friday to see the Rush fall 13-11 to the Vancouver Stealth. There as a lot of talk after that contest about how fun it was to watch the high-tempo National Lacrosse League. The Rush return to action on Jan. 29, when they host the Colorado Mammoth at 7:30 p.m. at the SaskTel Centre. Jaimen Yakubowski celebrates scoring a Huskies goal. No overtime dramatics were needed in this outing. The University of Saskatchewan Huskies men’s hockey team proved to be too much for the University of Calgary Dinos to handle on Saturday night at the ancient Rutherford Rink. The Dogs scored early and often and skated away with a convincing 8-3 victory. One night earlier, the Huskies needed double overtime to slip past the Dinos 4-3. In Saturday’s contest, eight different players accounted for the eight Huskies tallies. The route started when Huskies captain Kendall McFaull tipped in a point shot from Josh Roach for a power-play goal at the 6:44 mark of the opening frame. Rookie forward Daylan Gatzke potted his first career Canadian Interuniversity Sport regular season goal to put the Huskies up 2-0 before the first period ended. Just 84 seconds into the second period, rookie forward Andrew Johnson netted his ninth goal of the season to put the hosts up 3-0. Johnson’s tally chased Dinos starting goalie Myles Hovdebo from the U of C net. He stopped eight-of-11 shots fired his way. Steven Stanford played the rest of the way in relief and stopped 18 of the 23 shots he faced. Actually, the Huskies netted their first goal on Stanford just 94 seconds after he entered the contest, when gritty rookie Jaimen Yakubowski popped his first career CIS regular season goal. The Dinos proceeded to use a timeout to try and regroup after that tally. The stoppage worked for a short time, as Kevin King scored for the Dinos to cut the Huskies lead to 4-1. The Dogs’ edge ballooned to 6-1 before the second period ended thanks to a short-handed marker by Kohl Bauml and a point shot power-play blast by rearguard Jordan Fransoo. Dylan Busenius and Chris Collins netted singles for the Dinos in the third, which cut the Huskies lead to 6-3 for a short moment. Cameron Blair and Parker Thomas replied with singles for the Huskies to round out the game’s scoring. Jesse Forsberg had four assists and a plus-six rating on Saturday. Jordon Cooke made 27 saves to earn the win in goal for the Huskies, who improve their Canada West Conference leading record to 17-3. Cooke also has 15 goaltending wins on the campaign, which are three shy of equaling the Huskies team record for goaltending victories in a season. 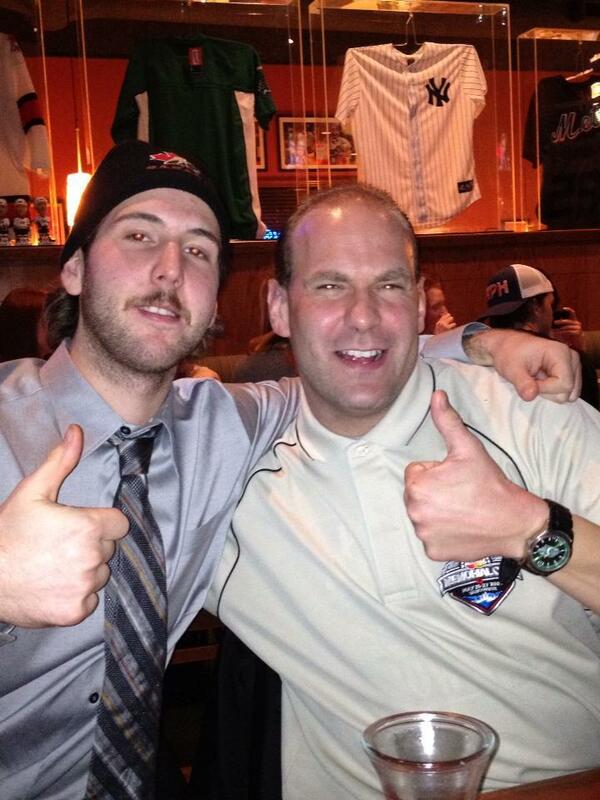 The team record of 18 goaltending wins in a season is held jointly by Jeff Calvert (1998-99) and Ryan Holfeld (2012-13). The Dinos fell to 7-9-4 with the setback. While it seemed everyone that hit the ice for the Huskies was on a roll Saturday, their best player might have been sophomore defenceman Jesse Forsberg. Known for being a defensive defenceman, Forsberg quietly collected four assists on Saturday and was a plus-six in the plus-minus department. Saturday’s victory also allowed the Huskies, who are rated third in the CIS top ten rankings, to officially clinch a berth in the Canada West playoffs for the 20th straight year. U of S leads the overall Canada West standings with 34 points. The Mount Royal University Cougars and the University of Alberta Golden Bears sit tied for second place with 28 points coming from identical 13-5-2 records. All Canada West teams have eight games remaining in their respective regular season schedules. The Huskies return to action this coming Friday and Saturday, when they travel to Vancouver to take on the University of British Columbia Thunderbirds (9-8-3). Brooklyn Haubrich had the Huskies lone goal in Calgary on Saturday. The University of Saskatchewan Huskies women’s hockey team dropped an overtime heartbreaker in Calgary on Saturday night. The Huskies, who are rated sixth in the Canada West top ten rankings, fell 2-1 to the host University of Calgary Dinos at the Father David Bauer Arena despite holding a 31-20 edge in shots on goal. The Dinos jumped out in front 1-0, when defender Stephanie Zvonkovic scored on the power play at the 7:50 mark of the opening frame. The Huskies evened things up at 1-1, when rookie winger Brooklyn Haubrich scored with 3:45 to play in the third period. At the 3:07 mark of overtime, Russian import Sasha Vafina scored the winner for the Dinos shortly after getting out of the penalty box having served a minor infraction for body checking. Cassidy Hendricks turned away 18 shots taking the overtime loss in goal for the Huskies. Hayley Dowling stopped 30 shots to earn the win in goal for the Dinos. With the overtime setback, the Huskies record moves to 11-6-3, which is good for fourth overall in the very tight Canada West standings. The Dinos, who have won three straight, still sit last in the eight-team Canada West Conference, but they improve to 6-10-4. The Huskies return home this coming Friday and Saturday, when they host the University of British Columbia Thunderbirds (12-6-2) at 7 p.m. on both nights at the Rutherford Rink. The Huskies celebrate an overtime winning goal. Lady Luck was on the side of the University of Saskatchewan Huskies men’s hockey team. For a short time, it appeared the Huskies would fall victim to a comeback by the visiting University of Calgary Dinos on Friday night at the ancient Rutherford Rink. The Dogs led 3-1 after two periods of play only to see the Dinos rally back to force overtime after tying things up 3-3. After a scoreless five minute four-on-four overtime period, the Huskies received a huge break during the five-minute three-on-three session that followed. Sophomore Huskies forward Michael Sofillas fed the puck to linemate John Lawrence who proceeded to break towards the Dinos net for a scoring chance. Lawrence’s initial shot was stopped, but Dinos forward Elgin Pearce accidentally knocked the puck into his own goal while attempting to sweep it out of harm’s way. The Huskies themselves looked stunned for a moment before realizing they had pulled out a 4-3 victory at the 1:53 mark of the second overtime frame. The home side’s bench proceeded to empty out for a victory celebration in the offensive zone, while the crowd at Rutherford gave one of their loudest ovations of the season. For a while, it appeared the Huskies wouldn’t need any overtime goals to extend their current winning streak to four games. After playing through a scoreless opening 20 minutes, the Huskies drew first blood, when sophomore forward Cameron Blair sniped a shot past Dinos goaltender Steven Stanford to give the hosts a 1-0 edge. John Lawrence picked up the Huskies OT winning goal. The Dinos tied things up at 1-1 just three minutes later, when Spencer Edwards potted a goal from in close off a scramble type situation. The Huskies jumped back out front 2-1 working on a power play, when Michael Sofillas slipped home his fourth goal of the season. Before the second period ended, Huskies centre Sean Aschim stole the puck from a Dinos defenceman in the University of Calgary zone and immediately fed a pass to his linemate Matthew Spafford, who was alone in front of the goal. The fifth-year forward wasted little time in tucking home his second tally of the campaign to put the Huskies up 3-1. While play though the first 40 minutes was fairly even, the Dinos came with a huge push back in the third period outshooting the Huskies 12-5. At the 5:55 mark, Dinos rookie forward Mitch Cook picked up his first goal of his Canadian Interuniversity sport regular season career to cut the gap to 3-2. With 29 seconds remaining in the third, Dinos fourth-year forward Dylan Walchuk deflected home a point shot from defenceman Drydn Dow to force a 3-3 tie. The Huskies protested that Walchuk’s goal was knocked home with a high stick, but the officials ruled the goal was good. The Dinos carried play in the first overtime period recording the only five shots on goal in the frame. The Huskies lone shot on goal in the second overtime period eventually led to Pearce’s accidental own goal. Jordon Cooke made 35 saves to earn the win in goal for the Huskies (16-3), who are ranked third in the CIS top ten rankings. Stanford, who is a graduate of the WHL's Saskatoon Blades, turned away 19 shots in goal for the Dinos (7-8-4). The Huskies and Dinos will go at it again on Saturday at 7 p.m. at the Rutherford Rink. Iya Gavrilova had a goal and two assists for the Dinos on Friday night. Iya Gavrilova and Sasha Vafina came through when the University of Calgary Dinos women’s hockey team needed them the most. The two members of Russian’s 2014 Olympic team combined for three goals and two assists to push the Dinos past the visiting University of Saskatchewan Huskies 4-2 at the Father David Bauer Arena in Calgary. Gavrilova, who has two assists, netted the winner at the 12:59 mark of the third period, which broke a 2-2 tie. Vafina scored twice, while Stephanie Zvonkovic had the Dinos other tally. Feisty forward Marley Ervine and Lauren Zary replied with singles for the Huskies. Hayley Dowling made 24 saves to earn the win in goal for the Dinos. Jerrica Waltz turned away 21 shots to take the loss in goal for the Huskies. The Huskies, who are rated sixth in the CIS top ten rankings, fell to 11-6-2. The Dinos improved to 5-10-4, but they still sit last in the eight team Canada West Conference. Both squads go at it again on Saturday in Calgary. The Rush's Crush Dance Team has been very visible in Saskatoon. If you live in Saskatoon, it almost seems impossible to escape the hype surrounding the Saskatchewan Rush. On Friday, the province’s National Lacrosse League team opens its much anticipated home schedule hosting the Vancouver Stealth at 7:30 p.m. at the SaskTel Centre. That SaskTel Centre will be the place to be on Friday night. The anticipation level was upped a few notches when the Rush posted a thrilling 10-8 comeback victory over the Roughnecks in Calgary on Jan. 2. The Rush enter the current NLL campaign as defending league champions having won the Champion’s Cup last season in Edmonton. After spending 10 seasons in the Alberta capital, the Rush were forced to relocate after they were unable to secure a home venue. As the NLL is a well-established league, people in Saskatoon have been jumping on the bandwagon to support a club that has the makings to be a league power for some time. After the club opened its business office on 2nd Avenue South across from Midtown Plaza, more and more residents have been spotted around “The Bridge City” sporting Rush gear. The excitement over the team is also trickling throughout the province. After seeing their season opener broadcast on TSN, it looks like the Rush will be a whole lot of fun to watch. It really seems like the hype is warranted. Actually, the Rush has a huge opportunity to really build a fan base rapidly in Saskatchewan. Out of the club’s 18 regular season games, it is possible to view 13 of them, if you attend all nine home games and the four road contests that are shown on TSN. If the Rush repeat their accomplishments of a season ago, their players will become household names. If all goes well, TSN might be showing post-season games from the SaskTel Centre. For now, feel free to enjoy the fact that the hype is likely very real. Allow yourself to enjoy the Rush. The Huskies celebrate a goal at the Rutherford Rink. While the Rush have a lot of hype, a well-established local team that dates back to 1910 is having a pretty good season to say the least. The University of Saskatchewan Huskies men’s hockey team has been Saskatoon’s most exciting hockey club this season, and the Dogs have reclaimed a spot as one of the premier teams in Canadian Interuniversity Sport. After posting an uncharacteristic 10-15-3 last season, the Huskies top the Canada West standings with a 15-3 mark so far this season. With an infusion of a number of talented young forwards, the Huskies have returned to playing a real up tempo style this season that has been fun to watch. Everyone has been chipping in too, as 10 players have 10 or more points so far in the current campaign. The dynamic rookie line of Kohl Bauml, Levi Cable and Andrew Johnson are first, second and third respectively in team scoring. Bauml has five goals and 13 assists, Cable 11 goals and five helpers and Johnson has popped home eight goals and seven assists. Defence was a strong spot for the Huskies last season, and that hasn’t changed with a veteran group including Zak Stebner, Kendall McFaull, Connor Cox, Jordan Fransoo and Jesse Forsberg leading the way. Sophomore goalie Jordon Cooke, who is a graduate of the Western Hockey League’s Kelowna Rockets, has been spectacular recording a 13-3 record, a 2.43 goals against average, a .926 save percentage and one shutout. He has shown the ability to steal games, which helped him be named the Canadian Hockey League’s goalie of the year back in 2014. Cooke has been overlooked for a serious professional shot due to the fact he stands only 5-foot-10, but there is no denying he has professional level talent. The Huskies host the University of Calgary Dinos (7-8-3) on both Friday and Saturday night at 7 p.m. at the ancient Rutherford Rink. If you haven’t seen the Huskies men’s team play in a while, now would definitely be a good time to check out a game and get reacquainted with the team. Saskatchewan residents received a reminder of how cruel the business of professional sports can be. 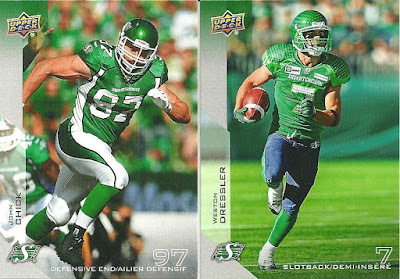 On Thursday, the CFL’s Saskatchewan Roughriders released beloved veterans John Chick and Weston Dressler, which caused immediate shock and dismay among “Rider Nation.” The move was made to give the club’s new management group - led by new head coach and general manager Chris Jones - more room to work with under the salary cap. The moves caused the Roughriders to be the province’s biggest sporting news story on a cold day on Jan. 14. Actually, it is quite common for the Roughriders to be the biggest sports newsmakers on any given winter day. Both are the perfect examples of players you want representing your team in the community. They are personable and friendly guys who are very approachable. While they are not from Saskatchewan originally, they are basically viewed as neighbours. Their release is almost the equivalent of watching a close family member go work in a country far away. Roughriders fans have experienced this same gut punches in the past, when the team released other popular stars that had reputations just like Chick’s and Dressler’s like Don Narcisse, Bobby Jurasin and Dan Farthing. All of those departures were emotionally hard to take. Unfortunately, that is the dark side of professional sports. With that in mind, Chick was a key part of the Grey Cup championship teams in 2007 and 2013, and Dressler also earned a Grey Cup ring in 2013. Both will be future member of the Canadian Football Hall of Fame, and they will always be Roughriders legends. Wyatt Nelson-Zook, left, hangs with his father Gerry Nelson. One of my big recent thrills was getting the opportunity to write a long feature story Canadian blind golf champion Gerry Nelson for the Saskatoon Express. The 52-year-old Saskatoon resident lost his sight due to complications from diabetes at the age of 25. From that huge setback, Nelson built as storied career as a blind golfer. When you get the chance to sit down and visit with Nelson, he can captivate you with the vast amount of stories he can tell like the late great iconic CFL head coach and general manager Cal Murphy could. Nelson can often be found at the SaskTel Centre as a regular in the crowd at Saskatoon Blades WHL games along with his 12-year-old son Wyatt Nelson-Zook. Wyatt gives his father the play-by-play of the contest. Gerry Nelson’s amazing story can be found right here. Lauren Zary breaks into the offensive zone on a rush for the Huskies. For the majority of her post-secondary hockey career, it seemed like a dark cloud hung over Lauren Zary in the offensive zone. Basically, if she didn’t have bad luck, she would have no luck at all. The speedy forward’s work ethic could never be questioned, but the on ice drive often didn’t result in points on the scoresheet. In four seasons of midget AAA hockey from 2008 to 2012, Zary built a storied career with her hometown Saskatoon Stars. She piled up 44 goals and 82 assists in 103 career regular season games. Her shining moment came in the championship contest of 2011 Mac’s Tournament, when she recorded two goals and two assists to help the Stars claim the tournament title with a 4-2 victory over the Edmonton Thunder. That victory marked the first time the Stars captured the prestigious Mac’s title. After graduating from the Stars and completing her high school studies at Centennial Collegiate, Zary packed up for Providence, Rhode Island, to play for the Brown University Bears women’s team in the Division I ranks of the National Collegiate Athletic Association in the fall of 2012. In two seasons at Brown, Zary notched just two assists in 26 games and seemingly skated away from hockey. Returning home to Saskatoon, she enrolled in engineering at the University of Saskatchewan in the fall of 2014 and decided to resume her hockey career with the Huskies women’s team, who were coming off winning their first Canada West conference championship. Thanks to a then recently introduced Canadian Interuniversity Sport eligibility repatriation rule, Zary could join the Huskies without have to sit out for an entire season. Lauren Zary (#13) battles on a draw for the Huskies. As an added bonus, the Huskies also contained a few of her former Stars teammates. During the 2014-15 campaign, Zary, who made the dean’s honour roll, started to become a bit of a factor in the offensive zone picking up six goals and eight assists in 28 regular season games. This season, she had two goals and five assists in the 16 games the Huskies played before the Christmas break. When the Huskies opened their second semester schedule on the weekend, Zary had a breakthrough offensively helping her squad sweep a pair of games against the visiting University of Lethbridge Pronghorns at the ancient Rutherford Rink. On Friday night, Zary, who stands 5-foot-5, had a goal and an assist to help the Huskies double up the Pronghorns 4-2. Kori Herner, Marley Ervine and Kaitlin Willoughby had singles for the Huskies, while Cassidy Hendricks made 24 saves to earn the win in goal. Brett Campbell and Lauren Fredrich responded with singles for the Pronghorns, while Alicia Anderson turned away 29 of 32 shots in the U of L net. On Saturday night, Zary again had a goal and an assist to help the Huskies slip past the Pronghorns 4-3. Her helper came on the Huskies first goal, which saw Willoughby wire a shot off the post and in. In the contest’s third period, Zary scored on the power play, when she flipped a shot past Pronghorns netminder Jessica Lohues. Lauren Zary, right, celebrates her goal Saturday with her teammates. Rachel Johnson and Herner each had singles in Saturday’s win. Jerrica Waltz started in goal for the U of S and stopped 11 of 13 shots over two periods of action. Hendricks started the third period for the Huskies, who were locked in a 2-2 tie with the Pronghorns at that time. She turned away six of seven shots fired her way to pick up the win in goal. Jocelyn Sabourin, Tricia Van Vaerenbergh and Chelsea Kasprick replied with singles for the Pronghorns, who fell to 8-9-1. Lohues stopped 30 shots to take the loss in the U of L net. With the wins, the Huskies, who are rated seventh in the CIS top ten rankings, improve to 11-5-2 to sit second in the Canada West conference. In the congested Canada West women’s standings, the Huskies are just two points back of the University of Alberta Pandas for first place, but are only six points ahead of the Mount Royal University Cougars, who sit sixth overall. The Huskies return to action this coming Friday, when they take on the University of Calgary Dinos (4-10-4) in Calgary. For the moment, Zary seems to have found a comfort zone playing on a line with Willoughby and one of her former Stars teammates in Ervine. If Zary can remain a factor offensively, the Huskies chances of finishing near the top of the Canada West standings will increase greatly. Zary’s work ethic on the ice and in the classroom will always be there. It would be nice if an extended run of good luck would come her way too. John Lawrence fights for a faceoff for the Huskies. The University of Saskatchewan Huskies men’s hockey team looks intent on proving their impressive results before the Christmas break were no fluke. The Huskies, who are rated fourth in the CIS top ten rankings, opened the second semester by traveling to Lethbridge to sweep a series with the University of Lethbridge Pronghorns. The wins allowed the Huskies, who are 9-0 on the road, to improve their Canada West leading record to 15-3. They sit five points up on the second place University of Alberta Golden Bears, who were swept away by the University of Manitoba Bisons in Winnipeg. In Lethbridge on Friday night, the Huskies slipped past the Pronghorns 3-1. Rookie Levi Cable, John Lawrence and Jesse Ross netted singles for the Huskies, while Jordon Cooke made 37 stops to earn the win in goal. Jay Merkley replied for the Pronghorns, while cancer survivor Dylan Tait turned away 39 of 41 shots to earn the win in goal. On Saturday night, the Huskies found another gear storming out to a 3-0 lead in the first period and cruising to a 7-2 victory. Lawrence and fifth-year defenceman Zak Stebner both had a pair of goals for the Huskies, while Kohl Bauml, Jesse Forsberg and Logan McVeigh each had singles. Cooke turned away 24 shots to pick up another victory in net. Zane Jones and Tim Campbell replied with singles for the Pronghorns. Tait turned away 13 of 16 shot before being pulled at the 14:07 mark of the opening frame. Warren Shymko stopped 23 of 27 shots in relief. The Pronghorns have lost six in a row to fall to 6-11-1. The Huskie return to action this coming Friday, when they host the University of Calgary Dinos (7-8-3) at 7 p.m. at the Rutherford Rink.